Shop handmade for the holidays at Jackalope Denver's Indie Artisan Fair next weekend, December 9th & 10th! Here is a simple A to Z guide that offers something for everyone on your holiday shopping list! Acid Hair Glitter specializes in all things related to having the most glitter-filled hair in the galaxy! Beard Oil by Two Ravens Soaps is the perfect luxury any dull beard is in search of! Copper Mug by Lunazul Gallery is a necessity for the holiday edition moscow mule being shaken up in your kitchen this season. Diffuser Necklace by Tin Lizzie adds a modern touch to traditional aromatherapy, with this oil infused necklace to support you on the road to your best self. Embroidery by Olander Co draws inspiration from beautiful Colorado in these delightful embroidery hoops. Fanny Pack by Fortnight Company is a stunning gift for any adventurer who can’t be bothered with anything getting in their way! Genius Handcarved Wooden Dice by Boxwood Pinball for the modern board-gamer looking to go beyond traditions. Honey by Bjorns adds a bit of sweetness to anyone's day, one teaspoon at a time! Icelandic Reindeer Fleece by Vela Apparel to bring back some of the magical Christmas spirit we can always use more of! Jewel Tone Boho Sway Earrings by Mile High Beads are for the “day to night” woman who needs accessories to keep up with her lifestyle. Kimono by Twirl is perfect for the casual errand run, lavish night out, or anything in between! Lollipops by Sweet Caroline Confections are the sweet addict’s dream… although, they’re almost too pretty to eat! Macrame Wall Hanging by Rustic Sage Designs for those vintage - obsessed, looking to fill that boring white wall. “Nuts about Donuts” Art Print by Kelsey M Designs for the donut lovers… aka anyone and everyone! Ornament by The Furnace Glassworks will steal the spotlight from any ordinary set of decor! Pickles by The Good Jar has so many varieties to choose from, with Bread and Butter being one of the most popular; no sweet pickles can compare! Quilted Baby Blanket by Fiber Relics will have your little one so comfy & cozy, they will be howling at the moon! Rosemary Cedar Candle by Light Provisions is great for those attempting to bring the outdoors into their home, with the scent of freshly cut lumber and aromatic herbs. Sangria Wine Slushy Mix by Nectar of the Vine puts a twist on the traditional beverage, for those looking to switch it up! Toffee by Vivian’s Gourmet is classically delicious with an instant mouthwatering effect at a mere glance! Ultimate Skin Care Package by Moon Mother Medicinals consists of face serum, face wash, and cleansing grains for magically beautiful skin. Vintage Blings by Booze Bling is for the host in your life, bringing a bit of fun & recognition to glasses everywhere! Wrapping Paper by Revel & Co. adds a flawless last touch to any present! Xmas Cards by Rum Bird Studio takes a unique twist on the typical cards, with these quirky illustrations. Zipper Pouch by CZ In Stitches has endless fabric options to choose from, for your ultimate essentials bag. 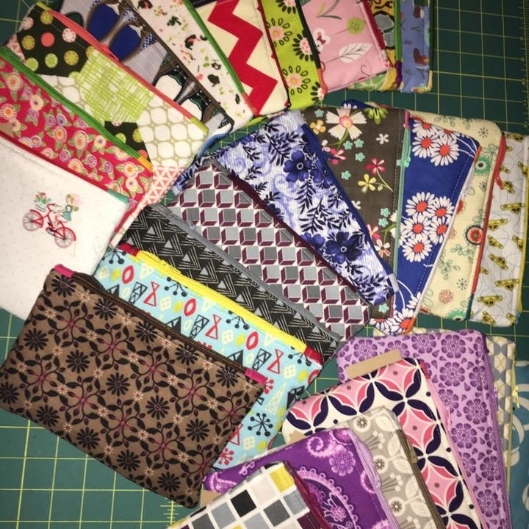 All of these items and more can be found at Jackalope Indie Artisan Fair's curated event with over 150 handmade artisans in the McNichols Building on December 9th and 10th in Downtown Denver. The fair will be open from 10am to 5pm daily, so get your shopping lists ready! Jackalope Arts Denver Launch : Success!! Jackalope Arts filled the EXDO Event center with nearly 200 top notch artisans for a Summer shopping extravaganza on July 25th & 26th! Within 1 hour of opening, the Fair had over 500 people through the door and the crowd continued to flow in over the weekend. One attendee said it perfectly, "The vendors were AWESOME!" Our Fair entrance welcomed guests with the Sophisticates Tea Truck selling fresh iced Chai & Black Tea! Perfect for the warm day and sold out by the end of the weekend! 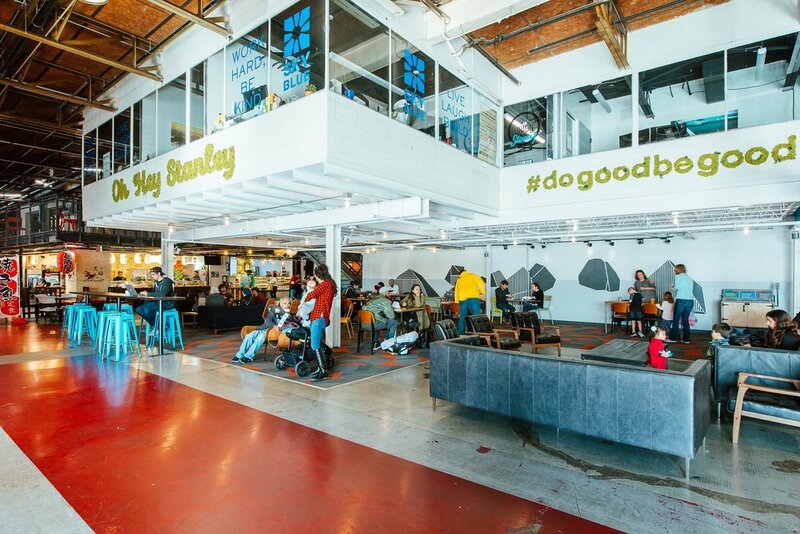 With a fresh iced, caffeinated drink in hand, attendees went head first into shopping two huge rooms full of bright and exciting vendors with an alley of even more vendors connecting them. Some shoppers even came on Saturday to make the rounds and see everything and then came BACK on Sunday to make all of their purchases! Now that's dedication. We love our vendors with a good sense of humor keeping the weekend light and happy! Kids and adults alike had some hand on fun at our workshop station throughout the weekend making hula hoops, dolls, buttons and more! 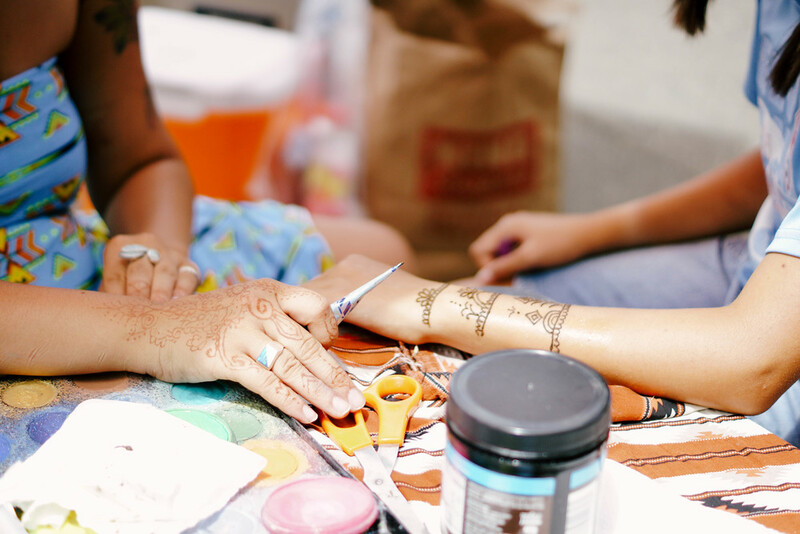 And who doesn't love a beautiful henna tattoo to decorate yourself! THANK YOU DENVER for an incredible weekend!! Phoenix, Arizona… HERE WE COME! In the beginning days of Jackalope Arts, our team sat together with some of the movers and shakers in the L.A. art scene and talked excitedly about the vision for Jackalope Arts. One of these notable individuals said they understood why we were in L.A. and Denver with the arts and culture in both cities, but that they didn't know anything about Phoenix and the scene there. Of course, as a Phoenix native, I proceeded to breakdown all of what Phoenix has to offer in it's rapidly growing and soon to be well known arts economy! The Jackalope Art & Craft Fair will be making it's home at Steele Indian School Park in Downtown Phoenix, just outside the Roosevelt Row Arts District and situated just steps from the Metro Light Rail. We will be joining the localist movement in an effort to strengthen the Phoenix community and Arizona economy by growing, supporting, and celebrating locally owned businesses. There has been a concentrated focus on growing Downtown Phoenix and over the past 5 years those efforts have really begun to take hold! We are on a roll with a 7% expected growth rate, exceptional when compared to other Downtown growth rates in the US (thiscouldbePHX.com), and Phoenix's Roosevelt Row (RoRo) being named one of the top 10 arts districts in the country by USA Today! One of the associations in place to help facilitate this growth in Downtown Phoenix and across Arizona is Local First Arizona. Since it's inception in 2003, Local First Arizona has grown to become the world's largest local business association with over 2,500 members! Arizonans know how to ban together and make s***t happen and we aim to be a part of that. The mission of Jackalope Arts is to create a shopping experience with the highest quality, locally handcrafted goods. We strive to support local artisans who devote their lives to their creations. We bring a community together to celebrate local artistry, and promote high quality, locally made, artisan creations of all kinds in our weekend events. Not convinced Phoenix is amazing yet? Check out the Top 10 Reasons to Love Phoenix from the Phoenix New Times! The Jackalope Art & Craft Fair will launch in Phoenix with our Holiday shopping event on December 12th & 13th. Are you an artisan? Applications are available online and the deadline is September 1st. Just an eager local shopper? Our event is FREE so add it to your calendar and sign up to our mailing list to hear all the exciting updates! Is Downtown Phoenix at a Tipping Point?